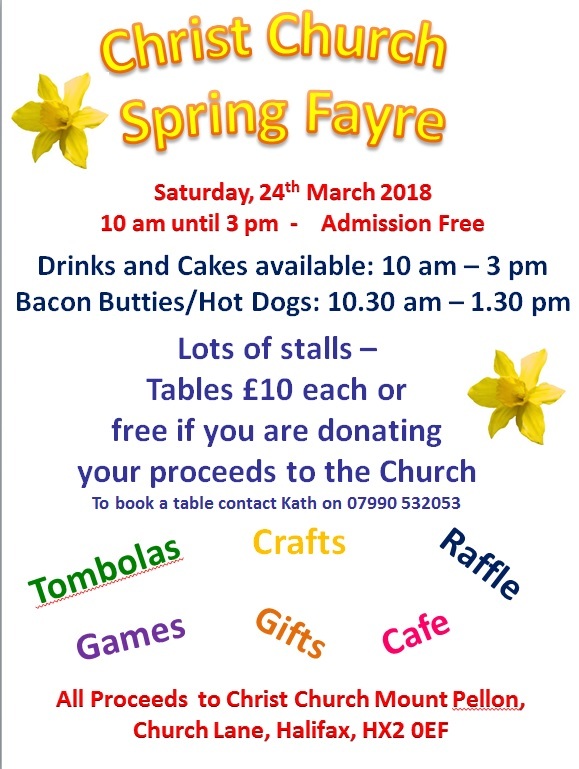 Christ Church Spring Fair will be held this year on Saturday 24 March, 10:00am-3:00pm at Mount Pellon, Church Lane, Halifax HX2 0EF. You can book a stall for £10 by calling Kath on 07990 532053 or free if the proceeds will be for the Church. All proceeds will be to Christ Church, Mount Pellon.